Priceless information regarding getting paid to drive your car and How to Start a Million Dollar Limousine Business. Learn from an Award Winning Industry Leader who shares 20 years of Insiders Secrets. Discover how to start your business with No Money! Learn how to be the most expensive service in town and still be the busiest. Creative Selling and Advertising Techniques which cost nothing! "How to Succeed in the Limousine Business" the Insider's Guide to everything you need to know in the limo industry, comes with the video "Limo Success" Learn how to start your own limo company with very little in start up costs. Make Big Money & have fun doing it! Learn: how to be your own boss, make your own hours, weddings, airport runs, proms, charters, bachelorette parties, casinos, driving exotic dancers, business and driving tips, and much, much more. 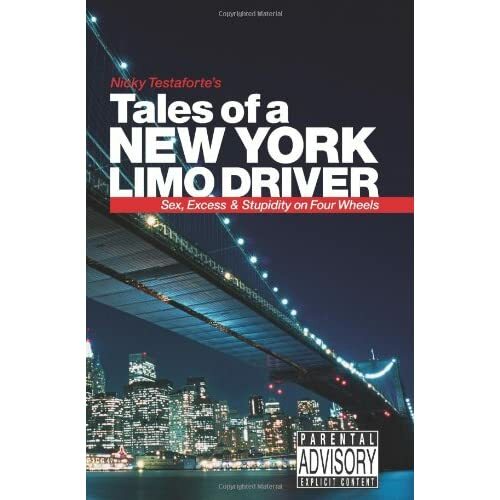 With the acerbic wit of a jaded New Yorker, Nicky Testaforte tells over 70 stories of the ridiculous things he's seen and heard in addition to relating stories from his clients and other drivers. Also included are six photos of misspelled, bastardized english "Only in NY" signs, plus over 40 driving/travel tips and scathing admonishments for all the amateur drivers and limo passengers out there. A truly hilarious and real-life insane look at what really goes on in the back of luxurious, darkened super-stretch limousines as they glide through our neighborhoods, lives and fantasies! The stories are true, enormously entertaining, and often incredible. A publication for the chauffered transportation industry with the latest news and business strategies that can directly impact the success of your business. Advice is given for the new and experienced alike. Whether you've never been in a limo, or even if a limo takes you to work each day, you will be fascinated by this comprehensive history. High-quality photos of American limousines take you on a luxurious tour from the development of the limousine in the 1950s to today. In days past, the limousine belonged only to the elite, the wealthy, and the dead on their way to the cemetery. Now anyone with a little extra spending cash can rent one and be the mystery rider behind the tinted glass. Includes Cadillac, Lincoln and Chrysler limousines, as well as Secret Service and Presidential limos. A great buy for professional car buffs, auto lovers, and anyone fascinated by this luxurious mode of transportation and the people who use it. 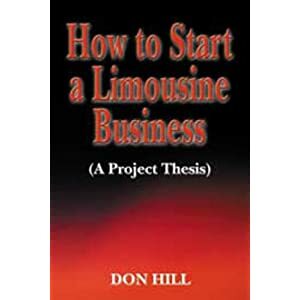 Originally written to complete a project thesis and graduate from college, in How to Start a Limousine Business, Don Hill researches the feasibility of opening a limousine service, but the tools and format of the book can assist you in conducting research on any business endeavor. What is it about the limousine? There is a clear elegance to the limousine and a mystery that surrounds the people behind the tinted windows. Since the golden age of automobiles in the early 1900s, the public has been fascinated by the elegant and, at times, daring designs of the limousines and town cars in which royalty, movie stars, and captains of industry are driven. This book traces the history of the stretch limousine, covering the classic, stately styles of the early days to the sleek, contemporary, and luxury -filled models of today. 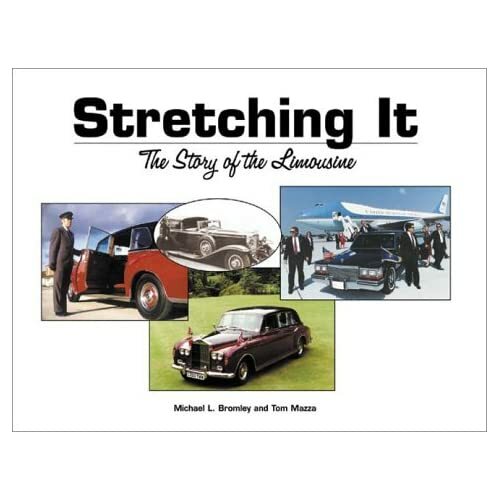 Stretching It: The Story of the Limousine, is the first comprehensive look at limousines, chauffeurs, and riders of the back seat, from the earliest to the present. From the late 1930s through the mid-1980s, it was truly the Cadillac of Cadillacs—the car of choice for the titans of American business, government and the entertainment industry. The stately long-wheelbase Cadillac Fleetwood Seventy-Five Eight-Passenger Sedan and Imperial Limousine occupied an exalted niche at the very pinnacle of the automotive pecking order in the U.S. and abroad. Whatever the destination—embassy, corporate head office, hotel, airport or Hollywood red carpet—when one arrived in a Cadillac Fleetwood Seventy-Five, one had truly arrived! Introduced in 1937, Cadillac’s new Series 75 included 11 Fleetwood body styles ranging from coupes and convertibles to a seven-passenger touring sedan. Limo Adventures in Myrtle Beach is about the many passengers who I've shared experiences with in the Limo. The 53 short stories are just a sample of the fun we have had. The names are kept annonymous to protect the innocent and the guilty. We’ve taken the guess work out of starting your own business with our PROVEN industry specific sample business plans ready for immediate INSTANT download! It’s easy, simply purchase one of our proven plans, download it to your PC or kindle, and edit in your personal information! Within minutes you have a professional business plan ready for lenders’! All of our sample plans meet & exceed lender, investor, SBA, and grant agency requirements because they ALL follow the only government approved outline for submitting a business plan! Every one of our listed plans has already been used and received funding! NOW is the perfect time to download your industry specific plan and open the doors to your new business TODAY!